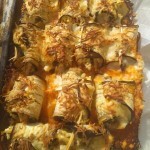 Fancy some aubergine cannelloni? We do! 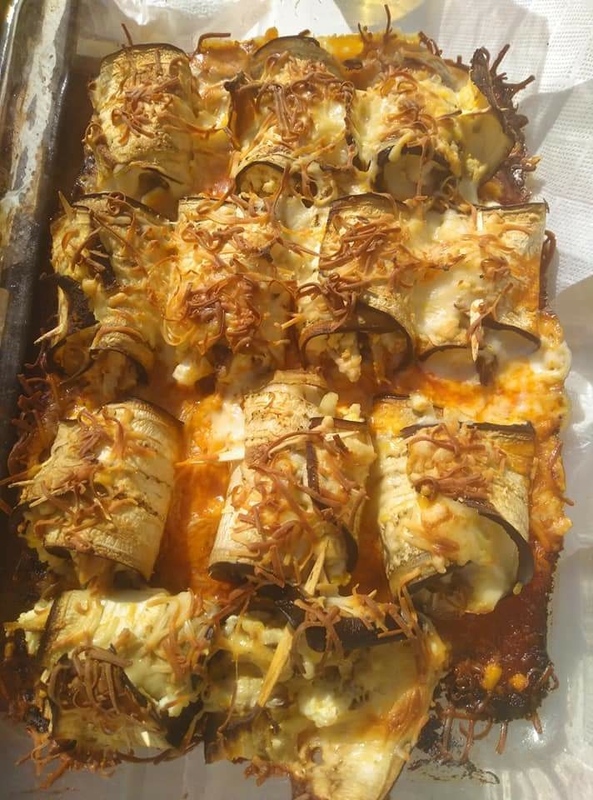 Besides being a great alternative to classic cannelloni "pasta" (we add more vegetables to the dish, we skip the step of soaking or making the sheets, it’s a recipe suitable for coeliacs), this recipe sent to us by Grace fills the cannelloni with white tuna. What more could you want? Boil the eggs. Put them aside. Cover the base of a baking dish with tomato sauce. Cut the aubergine (with skin) lengthwise into thin slices. Mash the peeled egg well. On top of each slice of aubergine, place a slice of cheese, a layer of chopped egg and a piece of white tuna. Roll this together, and secure it with a cocktail stick, so that it does not open. Place the rolls on the tomato sauce, add grated cheese on top, and place in the oven for 25 minutes at 200 degrees. After that, it´s ready to eat! Absolutely delicious! Thank you, Grace!